On our drive yesterday, we passed by a small yellow building. My sister said that it looked like a church. I said it looked like a one room school house. Indeed, it had been both, but it had mainly been a school house. It had been erected by the local African American community after the Civil War. 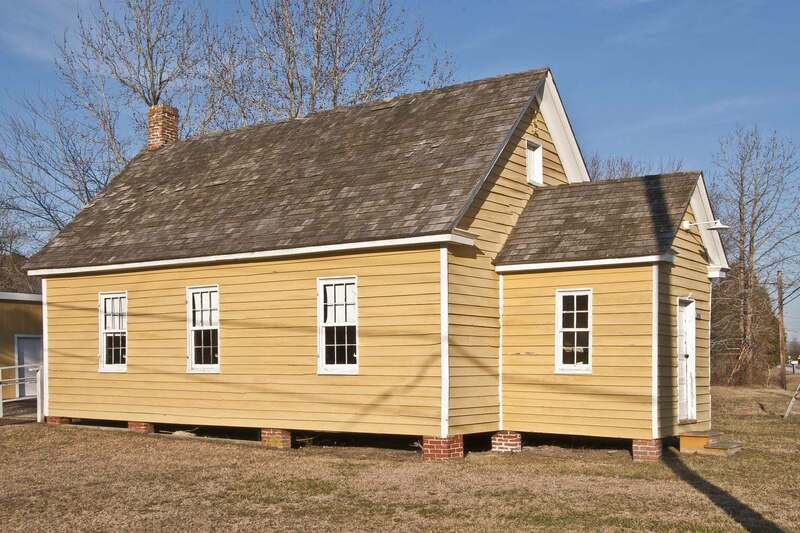 First built in the nearby town of Church Creek in 1865, it was moved to its current location in 1867. For much of its history it went under the name of Rock Elementary School and was later called the Stanley Institute after the first president of its board, Ezekriel Stanley. It was an elementary school until 1962 and continued to be used until 1966. The first teacher was a young woman of mixed race from New Bedford, Massachusetts, Emma Piper. More photos that I took can be found here. I’d imagine it’d also be one of the oldest, still-standing wooden structures around. There’s actually quite a few others. It’s on the Chesapeake Bay, not far from the Atlantic, and area was first settled by the English in the early seventeenth century. It has some tourism related to African American history on account of being the region that Harriet Tubman, one of the best known people associated with the Underground Railroad, was born in the area, in fact very close to where the wildlife refuge is today. She used to lead people through the marshes and canals in the area. I’ve been thinking about going back there in the spring and looking up some of the historic sites and taking photos. The sad thing about the school is the reason is remained active until the sixties is because of segregation. I expect going and looking at some of the sites would be emotionally difficult, although very interesting and informative. When I visit America in the future I’d be interested to visit a former slave plantation in the American south. I can imagine it will be a difficult experience but none the less worthwhile for all that. I have visited Liverpool’s Maritime Museum several times. It contains an exhibition on the transatlantic slave trade which has almost moved me to tears when traversing it.